It came in the form of a nebbish named Philip Rosenthal (and I say “nebbish” not as a pejorative, but as an endearment). Phil is a writer and producer, perhaps best known to you as creator of the show “Everybody Loves Raymond.” For me, though, he is best known as the host of two shows about travel and food. 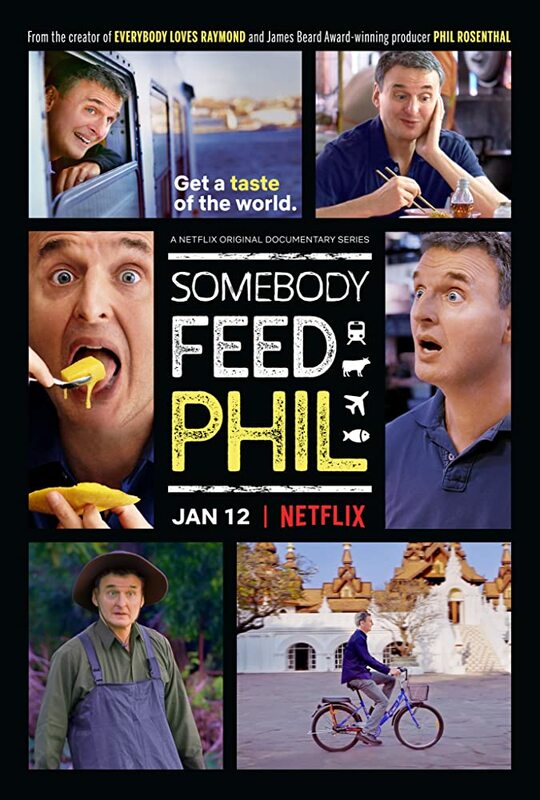 His newest travel/foodie show is “Somebody Feed Phil,” two seasons of which are available via Netflix. Aside from a new theme song and some fancy-schmancy 4K cameras (totally worth it), it’s pretty much indistinguishable from his previous show, “I’ll Have What Phil’s Having,” which you can find streaming on Amazon Prime as well as Netflix. The show has a very simple format. Phil travels to a place. Phil meets people who show him around. Phil eats a bunch of amazing food. Phil calls his folks back home via Skype. Roll credits. It’s a formula not unlike many other travel/foodie shows, and due to that similarity, the aspect that sets his show apart is, of course, Phil himself. While I’m much too reticent to be like Phil in that way, I admire that quality, and I thoroughly enjoy watching Phil thoroughly enjoy whatever he’s doing, even when he isn’t so sure it’s a good idea. And, to boot, he’s a good boy who always calls his mother and father once per show, sharing with them the things he’s encountered while on the road. So . . . when the news of the day gets to you—and let’s be honest, it will—take a breather and spend an hour with a kind-hearted goofball. It’ll soothe your burdened soul. OK, but what about the cat? You are supposed to relieve stress by taking care of the cat. Think about the cat, don’t think about anything else. She’s been a boon, except for the early morning bring-the-toy-onto-the-bed-and-play-with-it sessions. But a cat can only do so much.